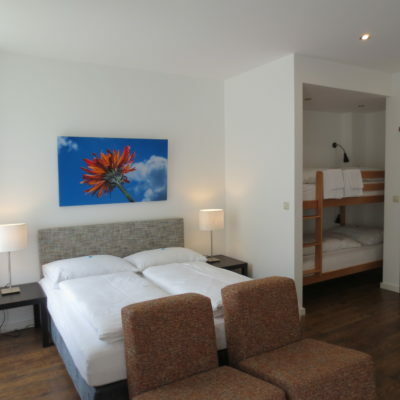 Our family room Comfort is located on the 2nd floor. 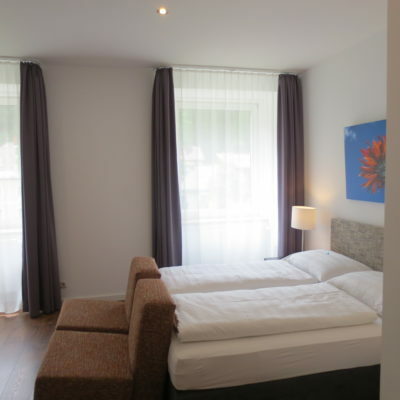 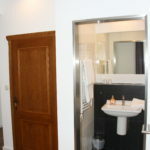 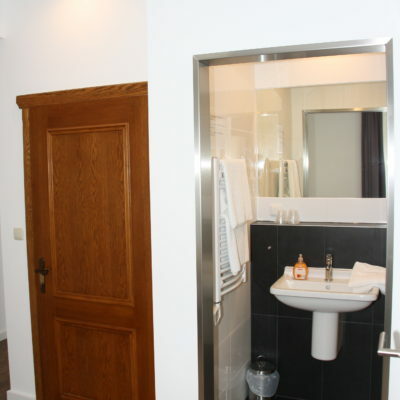 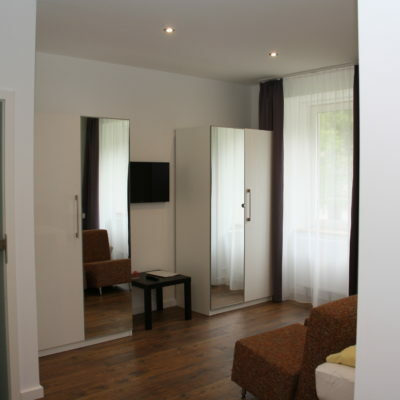 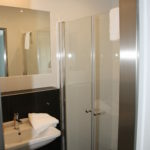 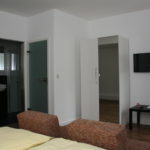 It hase a modern bathroom with walk-in shower, widescreen flat screen TV, seating area and laminate flooring. 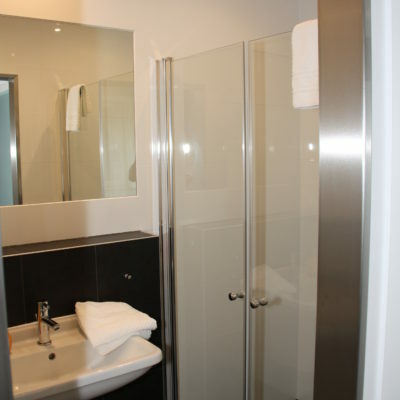 This room has a separate toilet.